Inspired by the rugged landscape of the wild Northwest frontier, London's immortal "The Call of the Wild" has captivated readers of all ages with its unique perspective--a narrative from the viewpoint of the sled dog named Buck. Other selected stories include "Diable--A Dog", "An Odyssey of the North", "To the Man on Trail", "To Build a Fire" and "Love of Life". Revised and repackaged. About Alex Kershaw (Introduction) : Alex Kershaw is credited in . 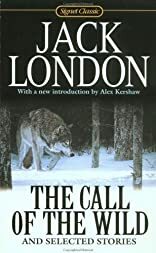 A published credit of Alex Kershaw is The Call of the Wild and Selected Stories: 100th Anniversary Edition (Signet Classics).